Untethered iOS 4.2.1 jailbreak by Chronic iPhone dev-team is now available for download. 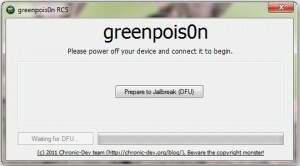 GreenPois0n RC5, the new tool currently supports Macintosh computers, and it could be used to jailbreak iPhone 4, iPhone 3G S, iPod Touch and iPad models with iOS 4.2.1. The process is much simple when compared to that we use in Redsn0w 0.9.6 b4 tethered and Redsn0w 0.9.7b1 untethered jailbreak tools. For more details follow our step by step guide to GreenPois0n RC5 jailbreak given below. 1. 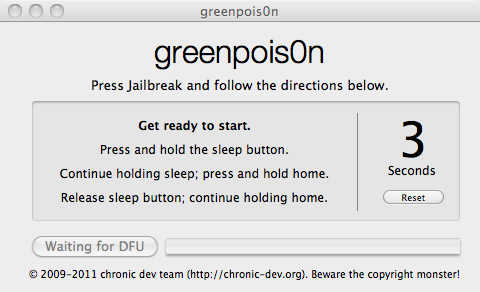 First you need to Download GreenPois0n RC5 for Mac. Windows and Linux version of the utility is expected to be available soon but at this moment Mac is the only option. 2. Connect iPhone, iPod Touch or iPad to your Mac using the USB cable. 3. Restore your device with a fresh iOS 4.2.1 installation if you have already jailbroken it using any other tool. 4. Extract greenpois0n-osx_rc5.zip file using archive utility and open greenpois0n.app. 5. Click on jailbreak button and enter into the DFU mode as per the instructions given in the screen. 6. Wait for a few minutes until GreenPois0n RC5 inject jailbreak code to your iPhone, iPod Touch of iPad. 7. After a restart you will see loader application in the home screen of your idevice. Open it and click on install Cydia. That’s it. 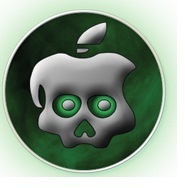 Your Untethered iOS 4.2.1 jailbreak using GreenPois0n RC5 is now completed. Updated: GreenPois0n RC5_2 for Windows is now available for download. The jailbreak process in Windows is almost the same that we used Mac version of GreenPois0n RC5_2. Download the tool from above given link. Switch off your iPhone, iPod or iPad and connect it to a PC using Apple USB cable. 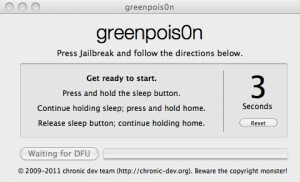 Now click on Prepare to Jailbreak button and the enter into DFU mode as per the instructions given in GreenPois0n RC5 interface. Let the tool complete the process. Willi be able to unlock the phone with this jailbreak? am i missing a step. @JohnnyBlaze stay away from GreenPois0n RC5. @Joe: Use GreenPois0n RC5_2 from download page. Your PC have to be connected to Internet and without any proxy/Firewall, so those files will be uploaded from the internet and it will finish as required, I have done that and it works on i4 4.1.2FW bb 3.10.01. Before running GP make sure that Your PC is connected to Internet and without any proxy/Firewall (I think for us who are working from Work wait until you go home), GP is looking for some files from the Internet (4 files) and those files will be downloaded to iDevice from the internet and it will finish as required, I have done that and it works on i4 4.1.2FW bb 3.10.01. When i install cydia everythings ok. But everytime i start it: it shows me ” Please wait, bla bla” and then locks my ipod. 2g MC. Wheres the problem? RC5 is released, but it still doesn’t help me.